It seems to me that he had both Minsky and Kindleberger wrong. Their insight was that behavior that seems perfectly rational at the time can turn out to be destructive. 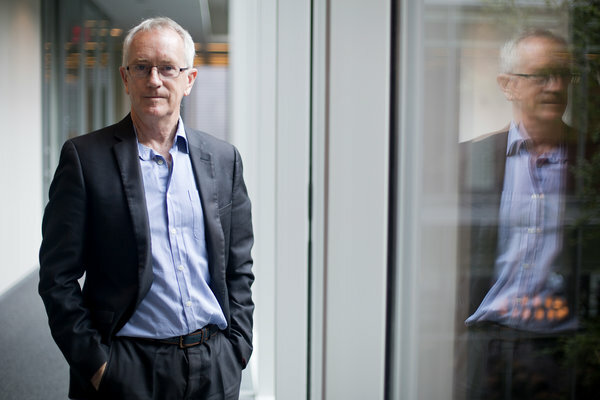 Steve Keen put his money where his mouth was and sold his house. I respect somebody who puts it all on the line like Keen did. Although property values are roaring back this game is still well in play. I tend to agree with Keen as it looks like the money printing stampede is intended for no other reason other than to alleviate the US, Europe and Japan of their debt repayments by devaluing their respective currencies. By doing so these countries also improve their export industries as they become more competitive. The long term effect appears to be that inflation is going to take off which in turn will drive the gold price up. Those with money invested in banks will be the losers as asset prices continue to escalate and inflation roars on. The pertinent question is: how will it all end? I have read that helicopter Ben is caught between the devil and the deep blue sea. On the one hand he knows that he needs to end the money printing quicksand he is in. On the other hand the markets may fold if the funny money ends as it has become addicted to the manna from heaven. If inflation takes off like a rocket then how do the money printing economies deal with a shift to gold and silver? One thing is for sure and that is that the time frame and the extremity of what we are all in and the severity of what is ahead is unknown and depends on what the main players do to fix or prolong the current madness. A good time to go live on an island without internet or TV. The gold ‘price’ won’t go up at all. The price of gold has nothing to do with the value of gold. 99% of all gold transaction large enough to affect price are transactions involving futures contracts or other paper derivatives. When the price of gold is pegged to the value of a contract for the future delivery of gold, then the ‘price’ relates to a few things nothing to do with demand or supply. Firstly, the stock of paper contracts in existence lowers the price via dilution. If more ‘gold’ contracts are issued in to the market, then the price is lowered. The other critical factor is the counterpart risk associated with the contract to ‘possibly’ deliver as required. All of these contracts have cash settlement as an option, in effect making the contract as useful as a contract to give you your cash back later. Those two forces both force the price down, that being excess claims on future production and the risk that the contract will never deliver anything but the currency you bought the contract with. The opposite force to this is ‘investors’ wanting to ‘gain exposure’ to price that ‘should’ go up as inflation increases through currency debasement. Well, sad to say it to ‘win’ via price by buying gold you would have to assume more people will value paper contracts tomorrow than do so today. The gold story is complicated, far more so than I have even explained above and certainly one day gold owners will be ‘rich’, but that day will only occur if the price of physical gold is no longer pegged to the price of a contract promising to ‘maybe, but probably not’ deliver gold. In effect, the only way for gold to become truly valuable is for the counterpart failure to occur, and for the price to massively decline as a result. Fair comment but I think that you are missing the point. Both the silver and gold prices have been manipulated. Silver has been held down for several decades whilst the coffers have been all but empty and now the same is happening to gold. Where we will have to disagree is clearer when we look at the bigger picture. We have paper contracts and we have the physical gold. It matters not what the paper value assigned by the rigged system is if the physical product is being snapped up until it is gone. It is. I have heard the stories about queues in the third world waiting to trade their fiat currency for real gold. And then of course China is not stockpiling for the fun of it either as are the central banks in many countries who are apparently also buying the real stuff. So what is the end game? And why are central bankers and their governments adopting bail in provisions? It feels like there is some bad stuff coming but then none of us will know until the fat lady sings. Those in charge will make sure of that, just like a bell is not rung at the top of a stock market bull run. We not find out that we have been rorted by those we elect to look after our interests until the game is over. After that it will be governments unappologetically justifying their positions and behaviours. Ain’t like so wonderful…..